The Minor Injuries Unit at Crowborough Hospital was closed 61 times in the past year, including 8 times in August alone. East Sussex Heathcare NHS Trust (ESHT) which runs the service says all the closures were due to staff sickness absence, and they had no choice but to close the Unit for safety reasons. A Freedom of Information Request has revealed the Minor Injuries Unit (MIU) was closed 61 times during the twelve month period to August 2014 – 35 of these closures were all day with the remaining 26 being part-day closures. The MIU is supposed to be open from 8am to 8pm, 7 days per week. As custodians of public funds we have a duty to ensure the services we commission and pay for are being delivered by provider organisations. It is standard NHS contractual procedure for CCGs to withhold funds from providers for not delivering services as they have been commissioned. When settling our contract with East Sussex Healthcare NHS Trust, we intend to withhold the costs of running the MIU for those days on which it was closed. We very much regret the CCG decision to withhold funds as we believe that NHS organisations need to work together to resolve the difficult issues that we face in the best interests of our patients, and the CCG’s decision is not conducive to achieving this. The CCG gave notice to East Sussex Healthcare NHS Trust back in May to enable a redesign of the community services. 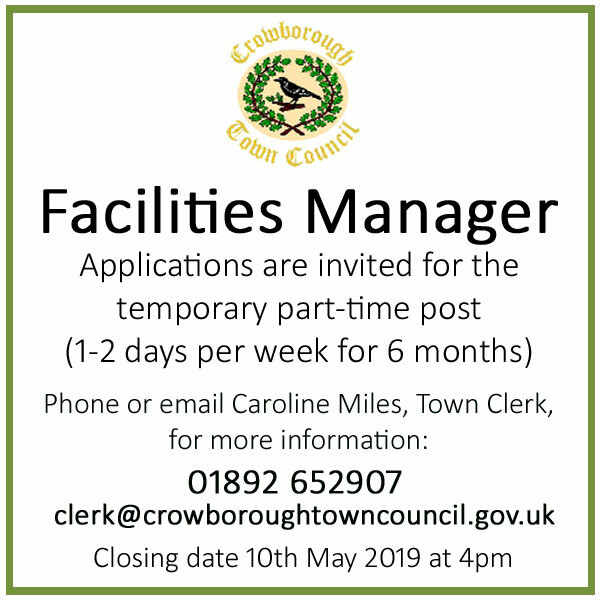 At recent Crowborough Town Council, the CCG’s interim Chief Operating Officer Alan Streets said they were having talks with both ESHT and Maidstone and Tunbridge Wells NHS Trust about who will operating the Minor Injuries Unit and Crowborough Birthing Centre in the future, and both Trusts have been asked to submit proposals by the end of September. Ongoing MIU closures are a concern for the CCG and are part of the reason why we have been reviewing all community-based healthcare services in the High Weald Lewes Havens area. We know community services are deeply valued by patients. Our aim is to expand the range, quality and consistency of community-based healthcare and community hospitals are a vital part of that. Since serving notice on our existing community services contract with East Sussex Healthcare NHS Trust in May 2014, we have undertaken engagement with NHS providers, staff and patients to inform a long-term plan for improving community services in the area and this is currently being developed. In the twelve month period from August 2013 to July 2014, 6,323 people were treated at Crowborough Minor Injuries Unit, or on average 17 patients per day. 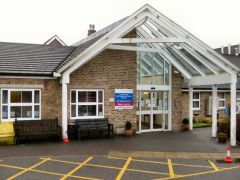 East Sussex Heathcare NHS Trust say when Crowborough Minor Injury Unit is closed a similar service is available at Uckfield Minor Injury Unit along with Emergency Department (A&E) services are available at Pembury Hospital or Eastbourne DGH. 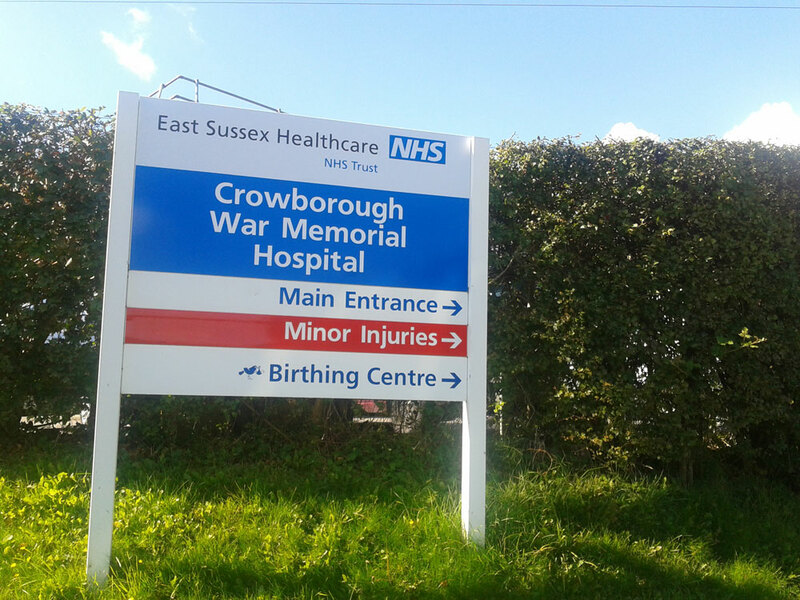 The Friends of Crowborough Hospital are very concerned about the continuing closures of the birthing centre and minor injuries unit at Crowborough Hospital, especially as these are at very short notice. However, we are encouraged by the pro-active approach being taken by the High Weald, Lewes and Havens Clinical Commissioning Group to use their powers under the contract they have with East Sussex Healthcare Trust to find a way to improve the service on an on-going basis. We are relying on the CCG to find a Trust to supply these services in future which will meet the stated requirements of the CCG to provide reliability and certainty plus the related back up services which will create true one-stop community services. As far as maternity is concerned, it is essential that women who book to give birth at the birthing centre or at home should be able to have all their pre-natal checks and scans at Crowborough hospital and transfer to the main hospital of their choice if they need increased medical support at the last minute. The Friends would like to thank all the staff at the hospital who have continued to give Crowborough such an excellent service at a time of considerable uncertainty. 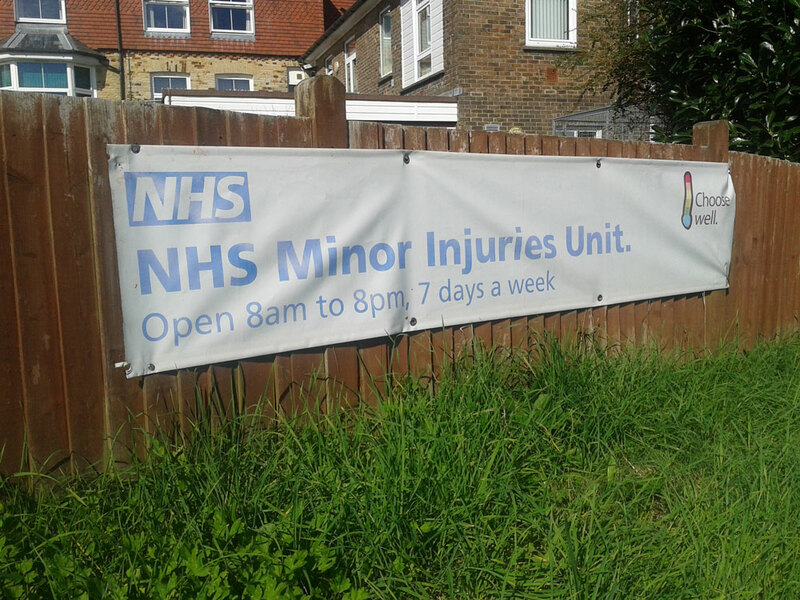 The Minor Injuries Unit treats sprains and strains, broken bones (not hips), wound infections, minor burns and scalds, minor head injuries, insect and animal bites, minor eye injuries, injuries to the back, shoulder and chest. In response to a query, ESHT confirms all the diagnostic equipment at Crowborough Hospital is being used. 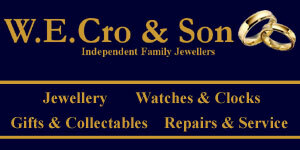 They say there is a X-Ray service that supports all the GPs and the neighbouring Trusts, and if a patient has a suspected fracture they can have an X-Ray at Crowborough Hospital. Healthwatch East Sussex the independent consumer champion say to date they have not received any public concern about the temporary closure of the Minor Injury Unit. 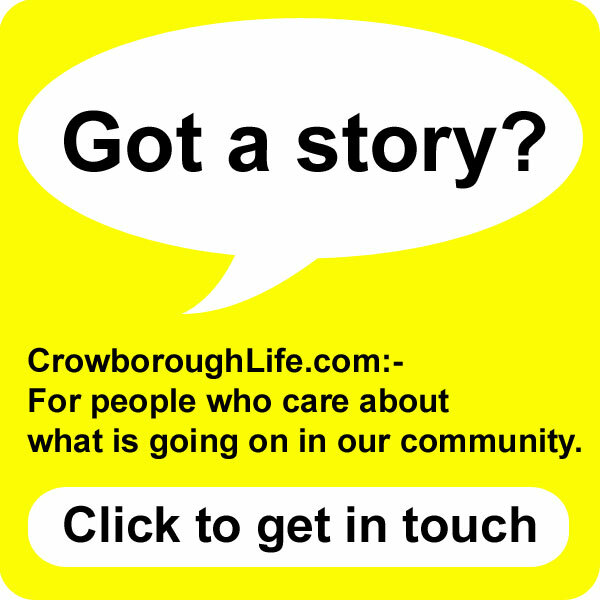 However they would encourage people using these services in Crowborough to tell them about their experiences, in particular about the impact of the closure on your health and circumstances. Healthwatch East Sussex has regular liaison meetings with the senior management team at East Sussex Healthcare NHS Trust. 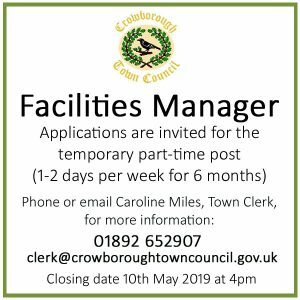 They say at these meetings they have escalated peoples’ concerns over the temporary closure of the Crowborough Birthing Centre, in particular in relation to patient safety and quality. How can community health services be improved? Share Your Views below or on Facebook.